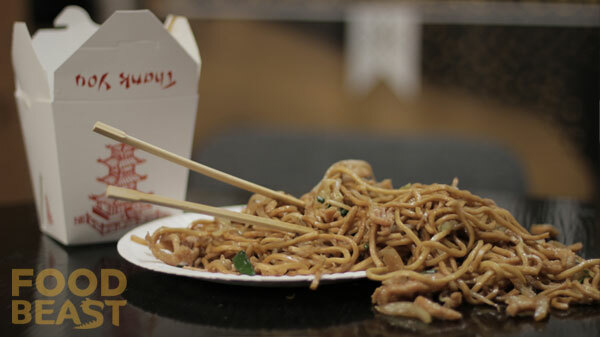 In the case of the 1st world's most epically disproportionate problems, we have just learned that our use of Chinese food takeout boxes is horribly inefficient. Here's how we found out. Back in August of 2012, we came across the startling discovery that we've been using ketchup cups incorrectly as well. Months after posting a video on the matter and explaining that the condiment cups seemingly unfolded to allow for maximum dunk square-footage, a comment came in close to three weeks ago explaining that Chinese take-away containers follow a similar concept -- apparently they unfold into a plate. 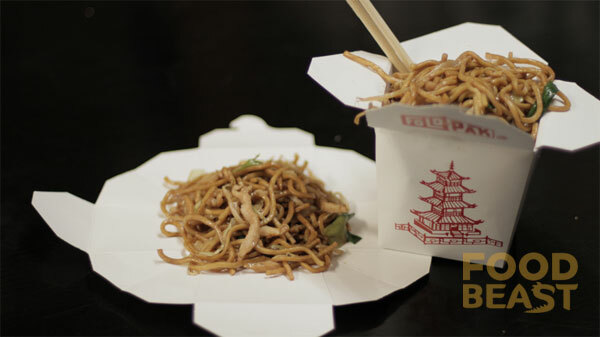 No more getting the sides of your hands greasy digging deep into a takeout box, no more pouring food into unnecessary communal plates, just fold the takeout box' sides down and get right to grubbin'. Sure enough Mr. Shaw was correct. We tried boxes with metal hooks, and they work even better than the boxes that were held together with some sort of adhesive. Either way, the box seemingly unfolds, lays out into a plate, and if you don't finish your food in one sitting, it folds right back up and tucks into itself, ready to store back in the fridge for your future face-stuffing.